This is a very controversial study conducted years ago. The results of this study were suppressed for various reasons until now. 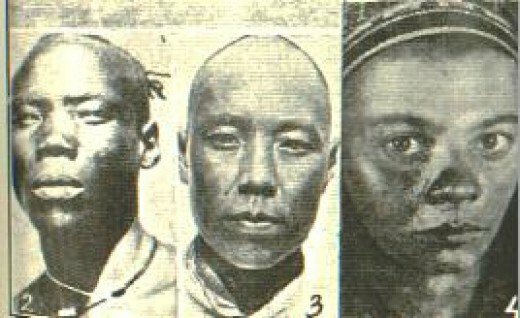 Geneticists discovered that Chinese people descended from Indians! Yes, you read it right. Chinese people came from Indians, find out how and why. In 2009, 10 countries gathered their best scientists to uncover the mystery of mankind's journey out of the African savannah to the Asian continent. The same scientists are veterans of the groundbreaking Human Genome project, mankind's first attempt to map the human DNA. The scientists had their eyes set 60,000 years ago during the Ice Age when the migration of pre-civilized hunter-gatherer archaic Homo Sapiens from East to South East Asia was at its peak. They have discovered that the Yellow Race (which includes Chinese, Japanese, Korean) evolved from Indians. We are indeed one race. According to the Bill Nye, The Science Man; '' We are one species. Each one of us much, more alike than different. We all come from Africa. We are going to live and die on the same planet. We have to work together.